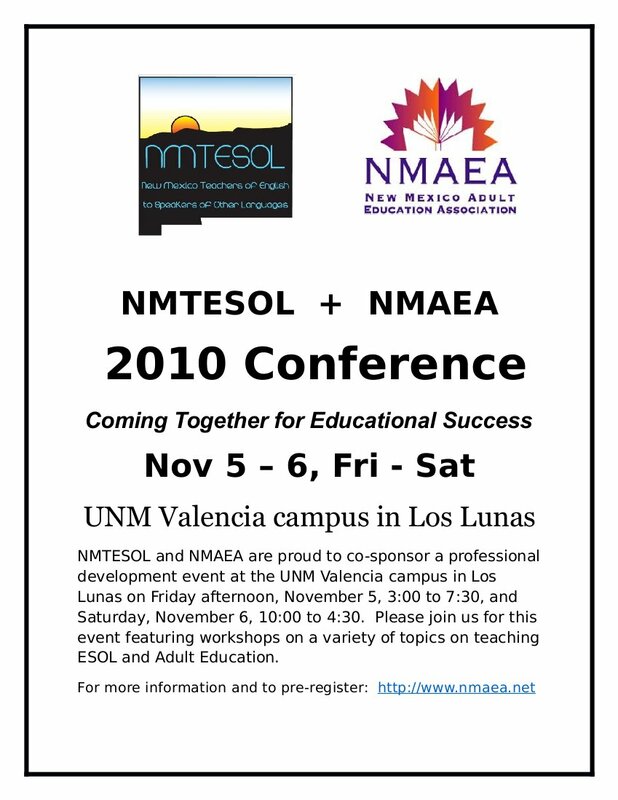 The 2010 NMTESOL-NMAEA conference “Coming Together for Educational Success” is only 2 weeks away! There were some technical difficulties with the registration page, but they are resolved. 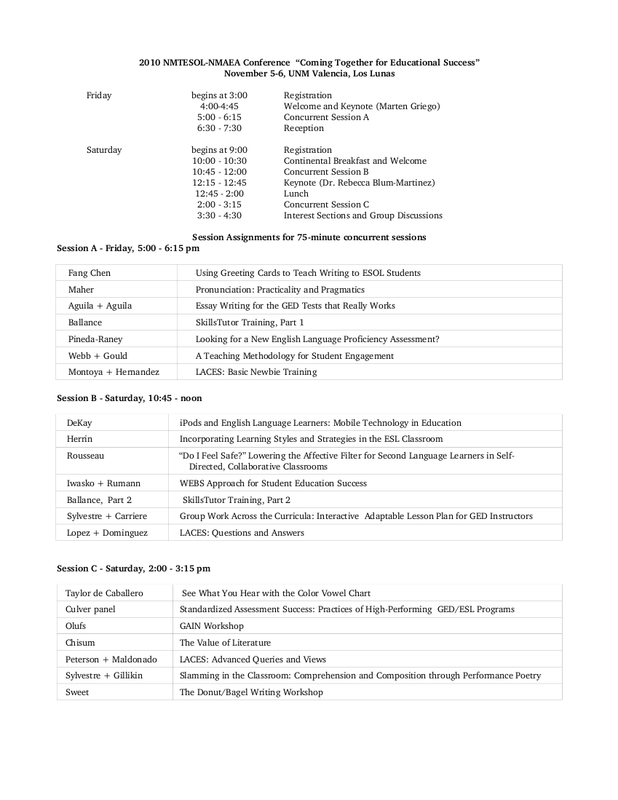 Also, the list of presenters and workshops is now available. Please go to www.nmaea.net for registration information.